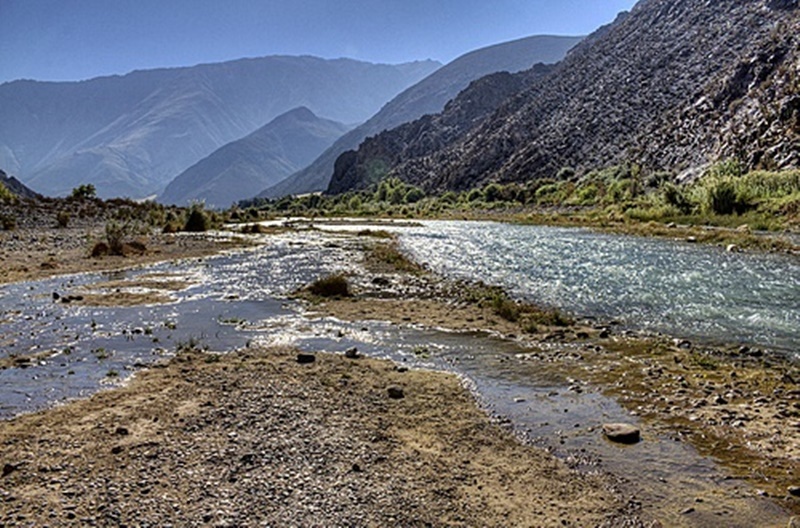 Elqui River Valley is nicknamed “Enchantment Valley”. After a visit yesterday that seems appropriate. 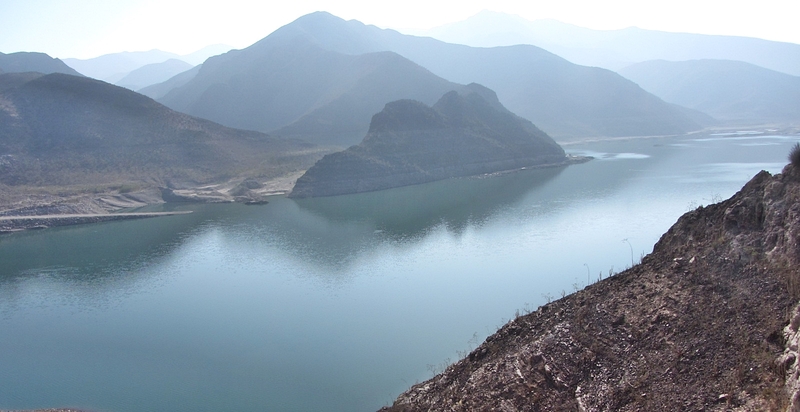 It’s in northern Coquimbo Region that forms the narrowest part of Chile where the Andes Mountain Range runs closer to the Pacific Ocean than anywhere else in the country. Having lived in the San Francisco Bay Area and the beautiful Napa and Willamette Valleys of California and Oregon and visited wine-growing regions around the world, the uniqueness of Elqui Valley was a surprise. It truly has its own peaceful yet mystical and powerful presence. 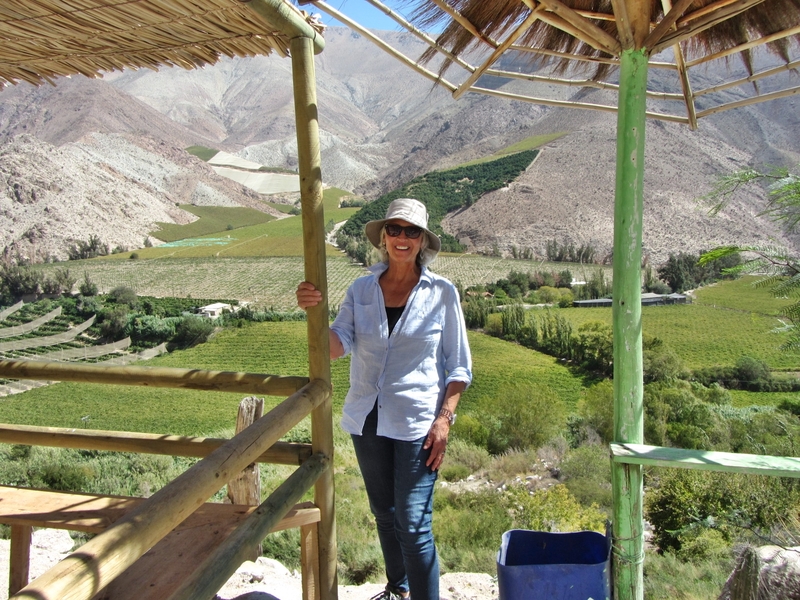 The vibrations make you want to stay, especially in the tiny village of Pisco Elqui. Many say “magic becomes reality” in the Elqui Valley not only because of the beauty, weather, and clear skies but also because it’s home to many “esoteric and extraterrestrial phenomena”. 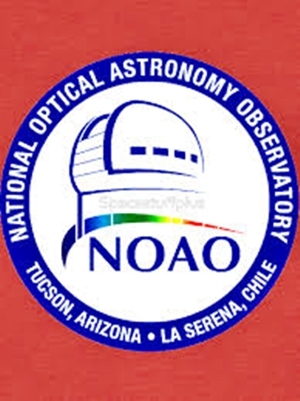 Its skies are the clearest in the southern hemisphere, which is why international organizations established astronomical observatories on the summits of Tololo and Pachón Hills. Considered a “power pole” the valley is associated with the UFO phenomena. During our tour we visited a papaya plantation, ABA Pisquera, Puclaro Dam on the Elqui River, the city of Vicuña, and several small villages, including Paihuano, Montegrande, and Pisco Elqui. Climate in the Elqui Valley is sunny almost 300 days a year making it a great location to recover from illness and stress. Our group of 15 was quiet and reserved. At lunch I sat with an Indian couple involved in the Chilean mining industry and an interesting, fun gay couple. Both couples were from Santiago. 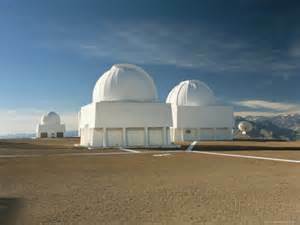 Chile is the astronomy capital of the world and home to 42% of the world’s astronomy infrastructure of telescopes. For those who don’t know Pisco, it’s a brandy produced in wine making regions of Peru and Chile. Pisco production is an art and involves distilling grape wine into a high-proof spirit. The Chilean government regulates the process to ensure quality Pisco. Chileans consume most of the Pisco they produce. 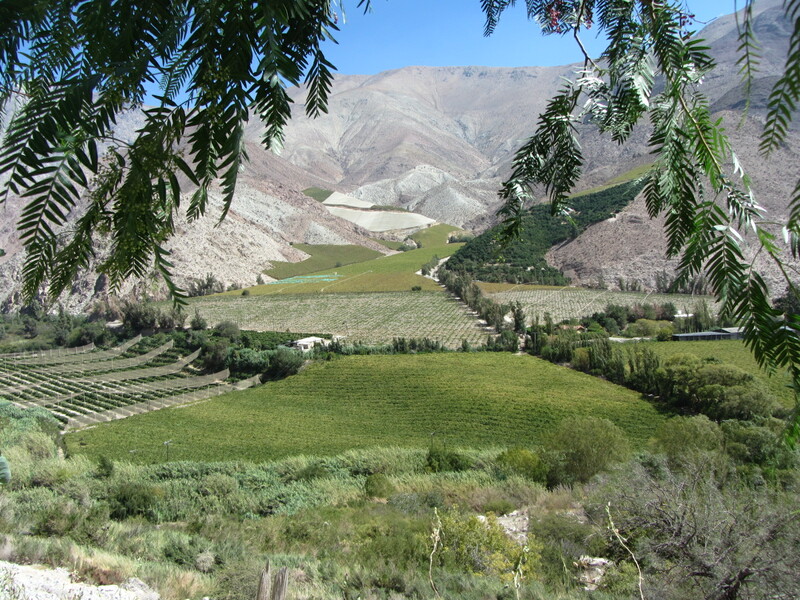 In addition to grapes and raisins, other crops in the Elqui Valley include papaya, mandarin, and avocado. Spanish settlers developed Pisco in the 16th century as an alternative to brandy imported from Spain. 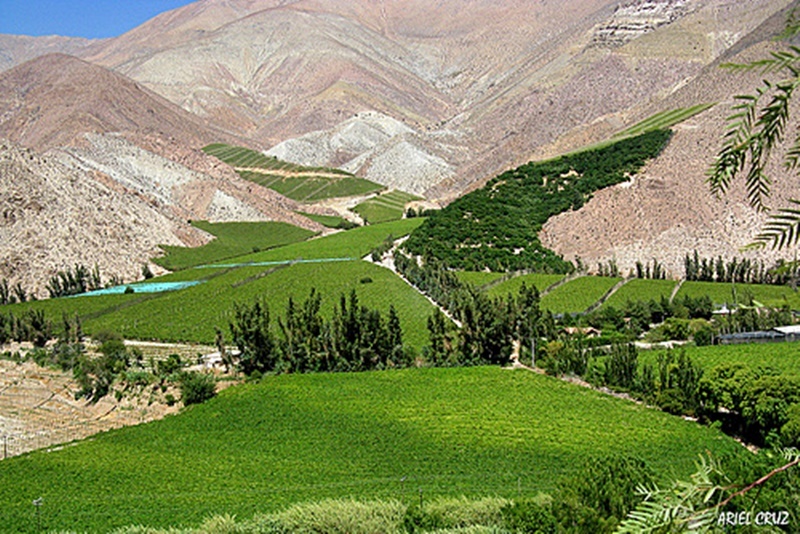 Surrounded by vineyards and the Andes, grapes cultivated in the Elqui Valley produce the best Pisco. The small village of Pisco Elqui situated at about 4,300 ft. above sea level is known for its craft Pisco distilleries. There is something very special about the village and it’s sought out by many. So far, the village’s beautiful natural surroundings remain relatively unchanged by tourism. 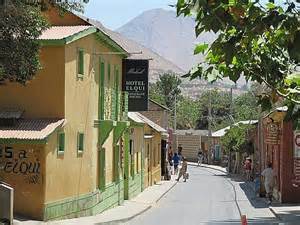 The main city in Elqui Valley is Vicuña, birthplace of Chilean poet Gabriela Mistral. Mistral was awarded the Nobel Prize for Literature in 1945 and the National Prize for Literature in 1951. 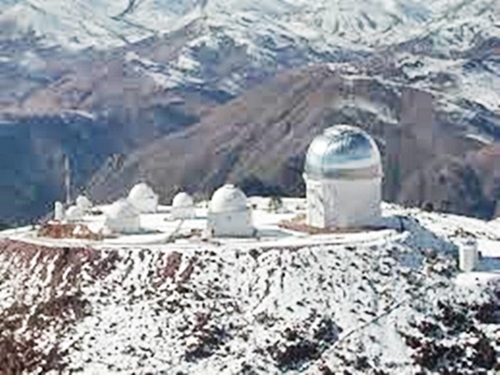 Elqui Valley attractions include the Gabriela Mistral Museum, Cavas del Valle boutique vineyard, the Mamalluca Observatory, and the Cerro Tololo Observatory. You must book observatory visits far in advance, so it was a disappointment not being able to view the sky through high-powered telescopes. 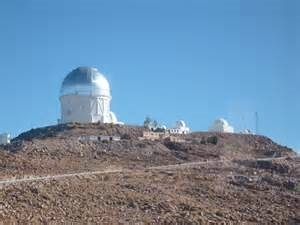 Didn’t know that Chile is the astronomy capital of the world and home to 42% of the world’s astronomy infrastructure of telescopes. By 2018 it’s estimated to contain 70% of the global telescopic infrastructure. Our guide told us that Bill Gates is involved in developing a new observatory – National Optical Astronomy Observatory (NOAO) – and super astronomical project in the Elqui Valley. The project is to be completed sometime between 2015 and 2016. It was a fascinating day! This entry was posted in Chile, South America and tagged ABA Pisquera, Andes Mountain Range, Atacama Large Millimeter/Submillimeter Array (ALMA), Cerro Tololo Observatory, Chile, Chile Elqui Valley, Coquimbo Region, Craft Pisco Distilleries, Elqui River Valley, Elqui Valley, Gabriela Mistral, Mamalluca Observatory, Montegrande, Montegrande Church, National Optical Astronomy Observatory Elqui Valley, NOAO, Pachón Hills, Pisco, Pisco Elqui, Plucaro Dam, Puclaro Dam, Tololo, UFOs, Vicuña by suemtravels. Bookmark the permalink.